one of my all time favorite ways to decrease. and the orange – oh la! – i really dig bright colors on babies. also, love monochromatic. but you may have already noticed that! 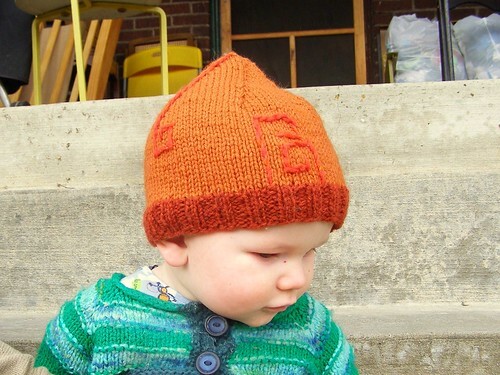 it’s the perfect weight for our erratic (winter? spring?) weather. raveled here. 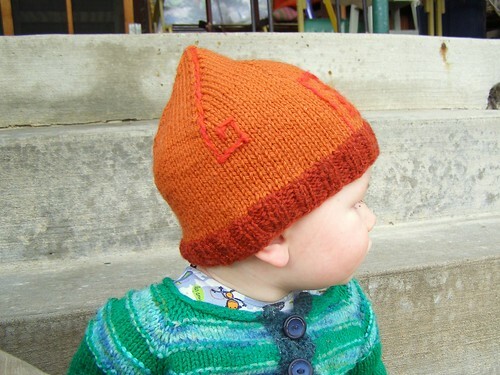 This entry was posted in baby, cosyknitsliterally, hats, patterns by cosymakes. Bookmark the permalink. Michael is on my lap, and he’s delighted to see Malachi!